Shopping for a mortgage loan? We'll be glad to discuss our mortgage offerings! Call us at (630) 534-5500. Want to get started? Apply Now. The huge number of refinance options available can be overwhelming. Contact us at (630) 534-5500 and we can match you with the loan program that is ideal for you. What are your reasons for refinancing? Keeping in mind the information below will help you begin your decision process. Are your refinance goals to lower your rate and consequently your mortgage payments? Then the best option might be a low fixed-rate loan. 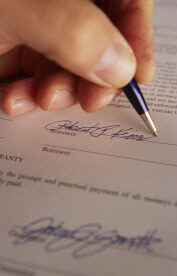 An ARM (Adjustable Rate Mortgage) or a high fixed rate mortgage are loans that you may want to refinance. Different that the ARM, your low fixed rate mortgage stays at a certain low rate for the term of the mortgage, even if interest rates rise. A fixed-rate mortgage can be especially a wise idea if you aren't expecting a move within the next five years or so. But if you do plan to sell your home more quickly, you will want to consider an ARM with a low initial rate to get lower payments. Are you wanting to cash out some of your equity in your refinance? Perhaps you want to update your kitchen, take care of your college kid's tuition, or go on a dream vacation. With this in mind, you'll need to get a loan above the balance remaining of your current mortgage.With this goal, you'll You will need to qualify for a loan for a higher amount than the current balance of your present mortgage in that case. You might not have an increase in your monthly payment, though, if you've had your current loan for a while, and/or your loan interest rate is high. Perhaps you hope to cash out a portion of the equity in your home (cash out) to use toward other debt. If you have the equity in your home for it, taking care of other debt with higher interest than the rate on your mortgage (such as home equity loans, student loans, or credit cards) means you can possible save hundreds of dollars monthly. Do you want to build up equity more quickly, and have your mortgage paid off more quickly? If this is your plan, the refinance loan can change you to a mortgage program with a short, like a 15 year loan. The payments will likely be more than with the longer term mortgage loan, but the pay-off is: you will pay substantially less interest and can build up equity more quickly. On the other hand, if your current long-term loan has a small remaining balance, and was closed a number of years ago, you could be able to make the move without paying more each month. To help you figure out your options and the multiple benefits of refinancing, please call us at (630) 534-5500. We are here for you. Curious about refinancing your home? Give us a call: (630) 534-5500.